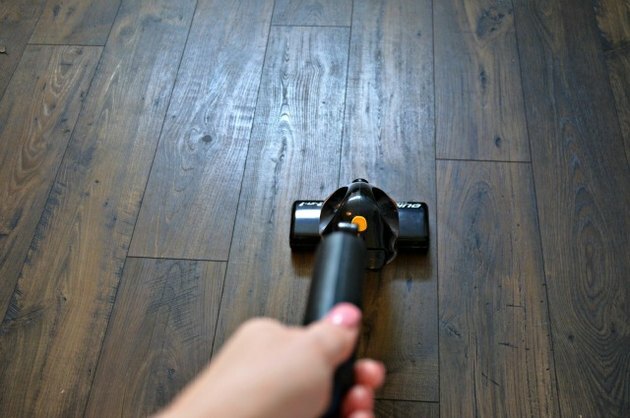 Cleaning wood floors properly can be a little intimidating, but it doesn't have to be. It is really easy to clean wood floors with the right solution and tools. This cleaning method can be used on laminate floors as well. 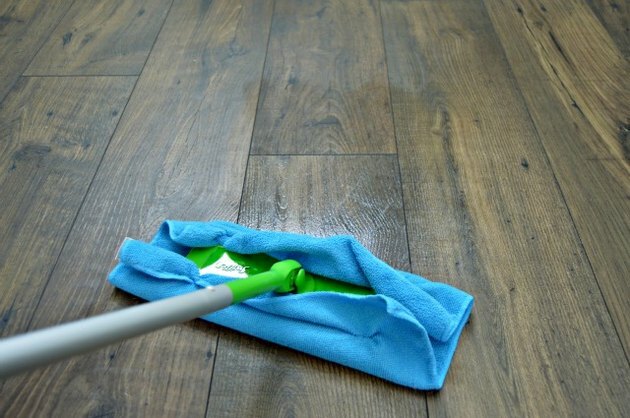 Cleaning wood floors with a standard mop, mopping solution and water can lead to warping of your wood floors. 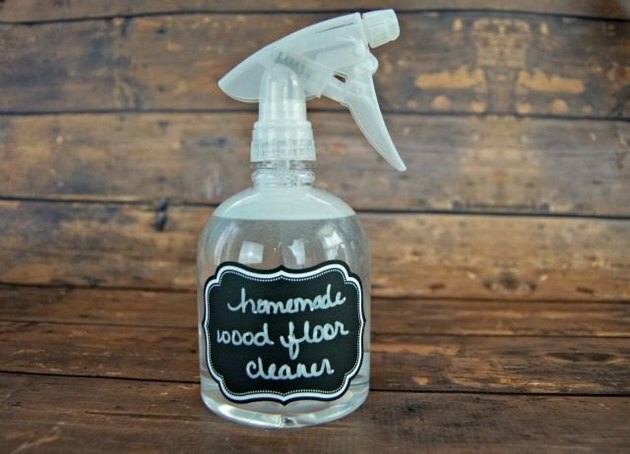 Before you begin, mix together this homemade wood floor cleaning solution. It's really easy to make and is safe to use on any kind of wood. Using a stick vac or microfiber cloth, remove any debris from your floors. 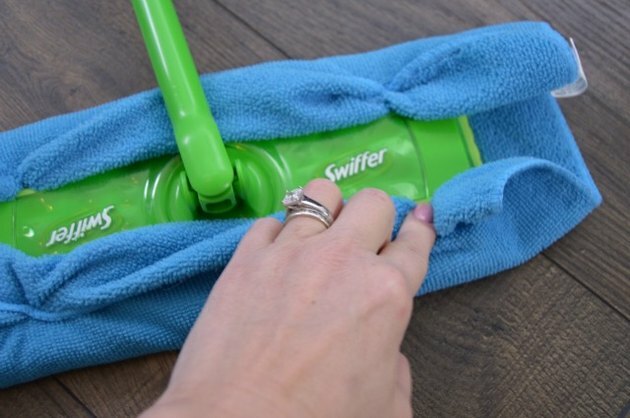 After your floor is free of noticeable debris, attach your microfiber cloth to the dry mop. 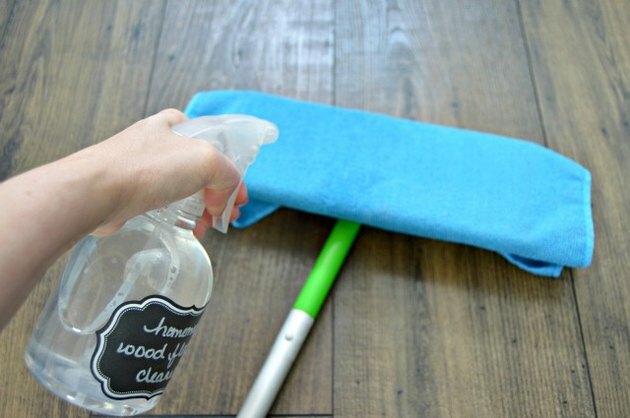 Spray the wood floor cleaning solution directly onto the microfiber cloth. Mop the floor using a back and forth motion. Periodically repeat step 4, spraying more solution onto the cloth. 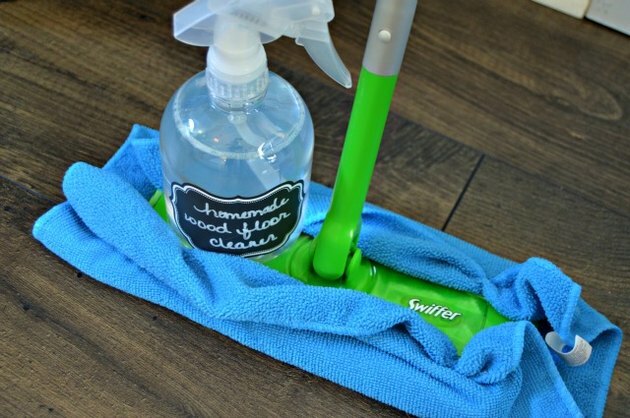 If your floors are really dirty or have a lot of groundwork to cover, switch out the cloth for a clean one about halfway through (or flip over the cloth and use the clean side if you only have one). Let dry... and let your floors shine!